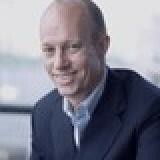 As the editor-in-chief and publisher of MIT Technology Review, Jason Pontin looks into the future, and thinks deeply about what technologies are going to get us there. Pontin has been editor-in-chief of the magazine since 2004 and publisher since 2005, at which point he began its transition to a digital-first magazine. Pontin reduced the number of annual print issues from eleven to six while refocusing the publication's energy toward original daily content. From 1996 to 2002, Pontin was the editor of the now-defunct Red Herring magazine. Jason Pontin, editor in chief and publisher of MIT Technology Review, the world’s oldest and most respected technology magazine, will explain how the proliferation of smart-phones, the appearance of Apple Pay and other mobile payment systems, in combination with beacons inside stores that monitor shopper behavior and big data analytics to understand it all, are creating new kinds of consumer expectations – expectations to which retailers must adapt or fall behind.